The Ed-Fi Alliance is a nonprofit community of education and technology leaders committed to helping educators connect data to gain a comprehensive picture of every student, classroom, and school. With Ed-Fi, districts can centralize valuable student data from their many independent systems in a single location, making it easier to use data to drive positive outcomes for students. 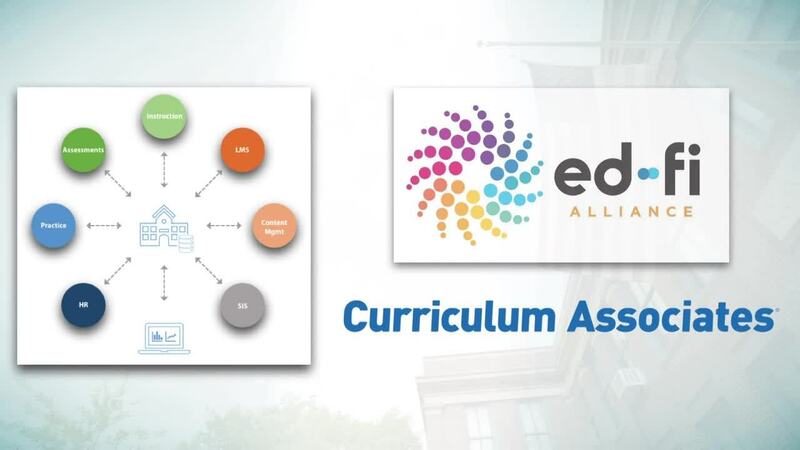 Curriculum Associates is excited to announce that our team is working to make i‑Ready Diagnostic outcome data—including scale scores, overall and domain placements, and Typical and Stretch Growth progress—compatible with Ed-Fi–compliant systems by fall 2019. Our hope is this growing partnership will help educators deliver effective instruction with even greater efficiency. Learn more about i‑Ready and the Ed-Fi Alliance.